Naish komt voor 2018 uit met enkele SUP foil nieuwigheden. 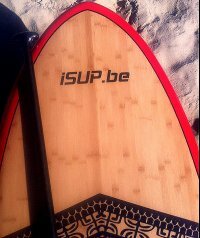 Specifieke Sup Wave Foil boards en foils met hoger aspect ratio waardoor je op lagere snelheid meer lift krijgt. In a continuing collaboration with Kai Lenny and Naish’s talented team of designers, we are stoked to unveil the 2018 Thrust Surf foil. Versatility is embeded in this revolutionary new design and can be ridden in a wide range of disciplines. With its low aspect wing that provides great lift at low speed, this foil is great for surf, downwind and even windsurf foiling. While the mast comes with our new 4-bolt base plate, the Thrust Surf foil adapts to fit any style box with ease. Along with the foil Naish is also launching several new boards in both SUP and surfboard shapes. The Hover crossover will be the ultimate do-it all board. Coming in a user friendly shape for foil SUP, SUP, foil windsurfing, and regular windsurfing! The Naish team has been busy producing the next generation of foils and all very excited to share the experience. Designed and tested on Maui, the Thrust Surf foil performs amazingly well in an incredible range of waves and conditions. Discover the unlimited possibilities that foiling allows with the new Naish Thrust Surf foil. Coming soon to a Naish dealer near you!